Cancer registrars throughout the world will join their colleagues, fellow medical professionals and city leaders to observe National Cancer Registrars Week (NCRW), April 9-13, 2012. The purpose of NCRW is to emphasize the foundation cancer registrars provide for cancer research, prevention and treatment. 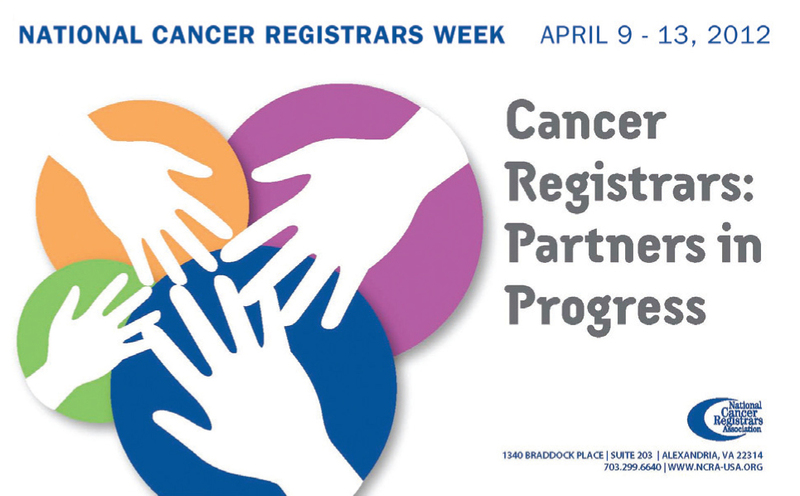 The 2012 NCRW theme, Partners in Progress, reflects the role of the cancer registrar in partnering with the medical community for a cancer-free tomorrow. You can view or download the press release HERE. You can view or download a proclamation by Colorado Gov. John Hickenlooper HERE.